MakeX always believe that technology can make life better, and we never stop bringing revolutionary products to you. M-Jewelry and M-One have been proved as the professional tool for designers on desktop. And now MakeX is eager to popularize such technological revolution to everyone. 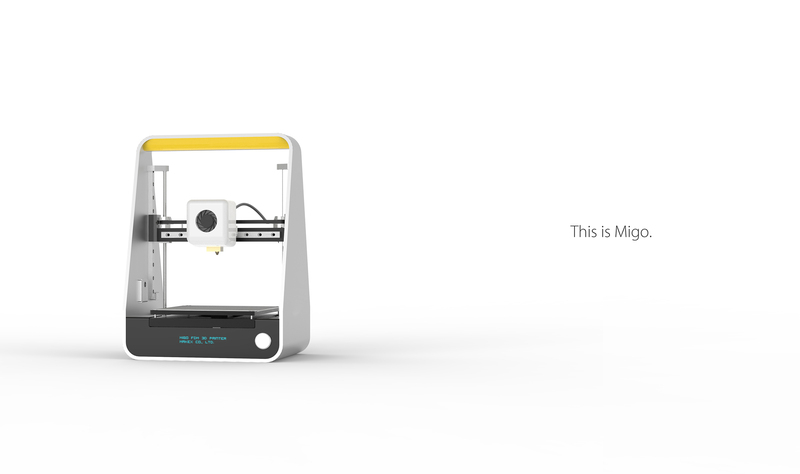 This is MIGO, the best personal desktop 3D printing assistance. 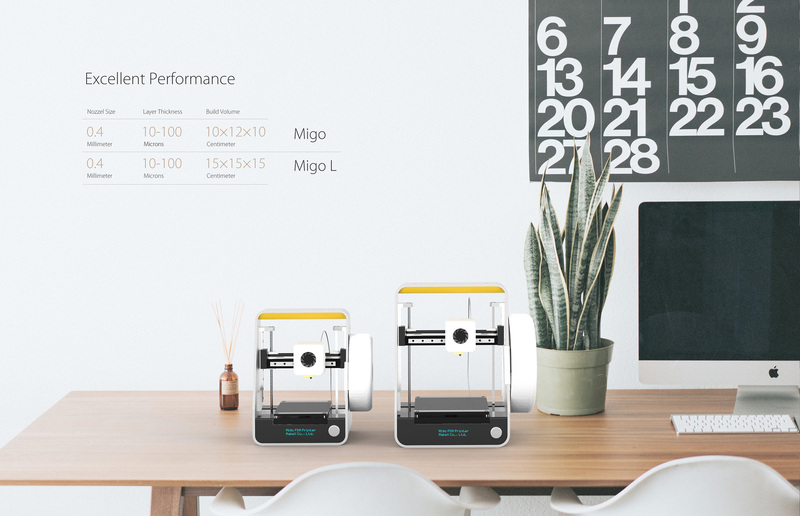 As a FDM 3D printer of new generation, we redefine the role of MIGO in your life. Portability is the distinctive feature of it. Its compact footprint makes it suitable for any circumstance. And also you will see how this all aluminum modular and minimalism design lightens your life. MIGO combines user-friendliness and simplicity with various creative applications. These applications can be used to produce the models whatever you want regarding education, scientific research and daily-life, etc. It can bring infinite creativity to you. 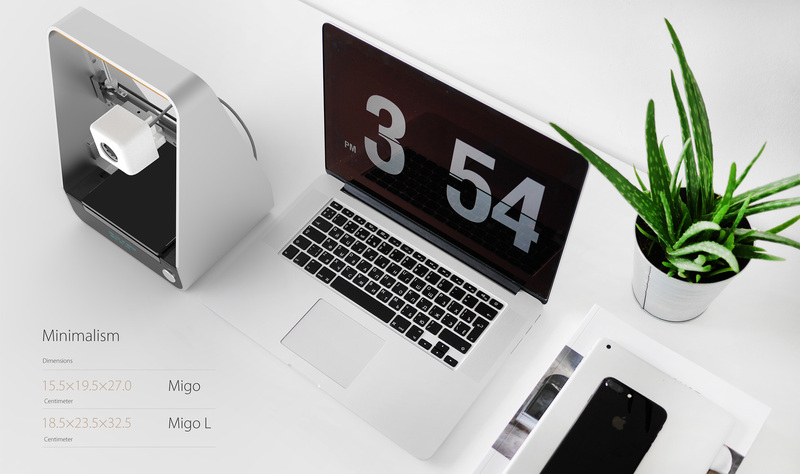 MIGO will be launched in Kickstarter very soon, more fantastic features will be unveiled in the campaign. 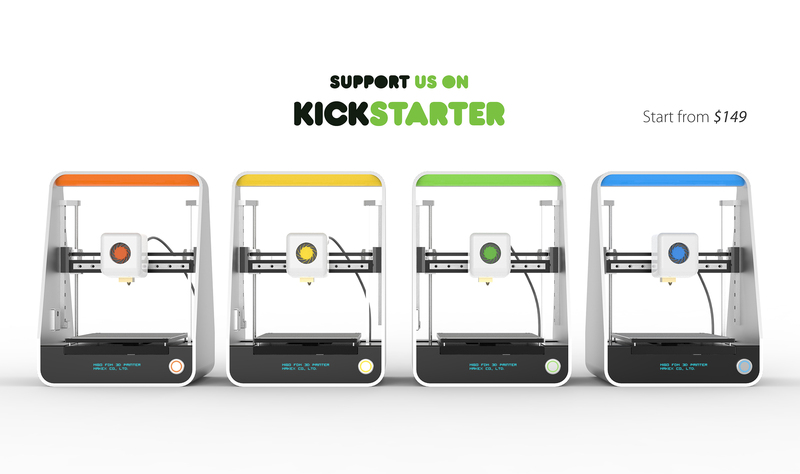 The price of this intriguing 3D printer will just start from $149 USD for early birds. Stay tuned and do not miss the chance.